A musical tribute to Biju Patnaik by Susmita Das on Biju Patnaik Birth Centenary. ‘Jhada’ (The Storm), is a musical tribute to the legend Biju Patnaik, which was premiered at Biju Patnaik Birth Centenary celebrated at Bengaluru. The production is based on the poetry of Mr. Devdas Chhotray, music rendered by Mr. Om Prakash Mohanty and it is sung by Mrs. Susmita Das. When the video design is handled by Mr. Nilambar Rath, the animation is done by young animator Mr. Biswajit Swain and the post-production is handled by Mr. Suresh Patnaik. 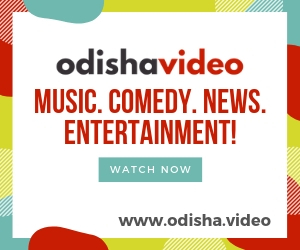 Also the magic sand animation of Padmashree Sudarsan Patnaik and sketches of Mr. Kalee Patnaik and Mr. Rabi Narayan Rath is a part of this musical tribute.